Sometimes we find that our internet connection becomes too slow abruptly without any reason. There may be a case that some spyware or malware is connecting in background and using your internet connection. Now although i know your firewall is a capable tool to catch that, but Nothing wrong in holding the lens for yourself and find it out. Command prompt is a very powerful tool of windows which you can use to find out if someone is connecting to internet in the background to send your data. Here is how to do it. Step 3# wait for 10-20 seconds or few minutes if you want. It all depends on how long you want to record the network traffic. 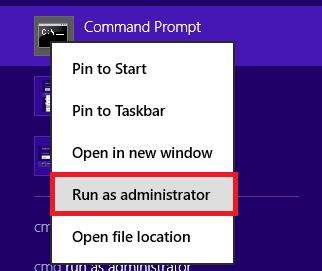 Step 5# Now go to C: > Windows > System32 and find activity.txt file in this folder. Open this file and see the data. The lines encircled in the orange are the ones which your pc is connecting to even when you are not doing anything. Try to open them directly in your browser or google them to find out if they are suspicious. In my case it turned out that http://www.webtrends.com/ was accessing my browsing pattern by browser cookies. No serious threat was found when i used it on my PC. But, who knows there may some threat on your computer. Just find it out.